Grimm examines the general evolution of cultural texts and folklore through physical movement, storytelling, original music and set. It immerses the audience in a mystical and fluctuating world of altered fairy tales that challenges our understanding of authenticity and originality. Matters of Facts is an immersive, multi-media performance that combines dance, sound and interactive projection to dramatize prisoner of war camps that existed in the United States during World War II. The history of these camps is seldom taught and controversial because captured Nazi soldiers were treated unusually well while American citizens faced war rationing and internment camps. Audience members walk around and among the dancers, immersing themselves in the performance that abstractly depicts this history in three sections, from the battlefield to the camps and on the home front. [re]CLAIM is an interdisciplinary and immersive dance performance and workshop that addresses the effect of art in non-traditional spaces and forms. Influenced by graffiti, pop art, and accusations of plagiarism in popular culture, the project combines an evening performance and afternoon workshops that address how artists reclaim ownership of space and ideas as a canvas for social change. "[re]CLAIM" was made possible with the support of the Miami-Dade County Department of Cultural Affairs. TAGGED is a dance film that features graffiti painted dancers who move throughout New York City. They create a moving image and transform spaces viewed as sacred, private, or useless into a useful urban theater. The film addresses how artists can claim urban public and private space as their own creative canvas as well as encourages my communities to look at and appreciate the art surrounding them everyday. Moonrise with Memories, created in collaboration with Bass Trombonist, Jeremy Morrow, is a duet that explores reflection and memory in loss. The music, composed by Frederic Rzewski, was inspired by Pygmy culture and displays the solo bass trombone as an instrument, "played when something big goes wrong, or when someone dies, and an optimistic answer... is needed" (Rzewski). “Moonrise with Memories” reflects this musical relationship through dance, investigating the perseverance of the human spirit and glorification of history and personal memories. Combining music and dance, “Moonrise with Memories” is a heartfelt narrative about how we remember and retell our life stories. 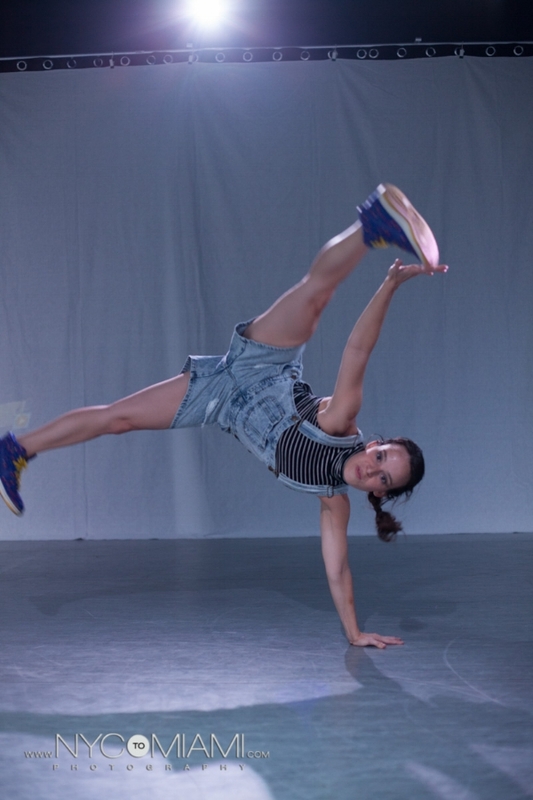 Shot in the abandoned Miami Marine Stadium, No Trespassing moves dance into an urban theater. Movement takes place in and around the entire stadium except for where performance traditionally occurs. It takes the viewer on a playful exploration of what is abandoned and prohibited, yet beautiful. Fettered, Fly Free explores an individual coming to terms with the unknown. The movement plays with a sense of duality between feeling stuck in a routine and the freedom created when one does not know what will happen. Through a discovery of risk taking and its positive and negative consequences Fettered, Fly Free attempts to represent a possible world in which these dueling tensions can and do exist together.